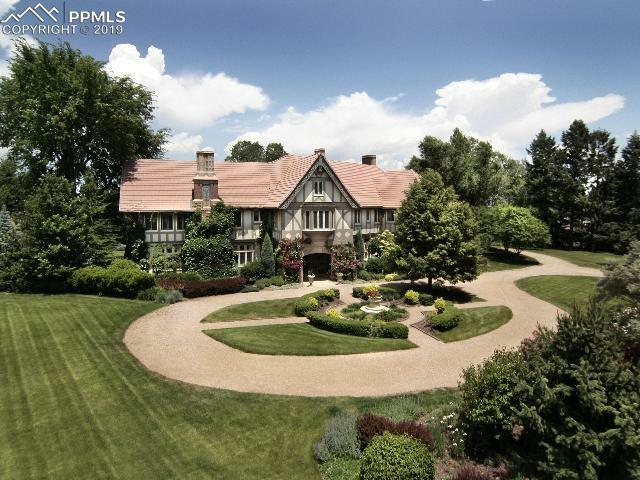 "Southard Star Ranch: a stately, distinctive estate withstands the whims of time. Dramatic Pikes Peak views. Influenced by Pennsylvania Dutch style, this is the experience of living well- both grand & unpretentious, breathtaking yet welcoming, imposing yet warm. Interiors harmonize with the majestic setting, reflected in reclaimed antique chestnut floors & solid beams. Venetian Plaster walls cast a warm glow." 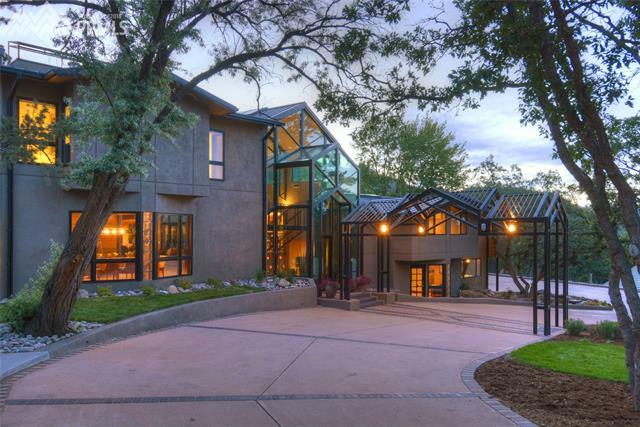 "The most spectacular home in Colorado Springs! 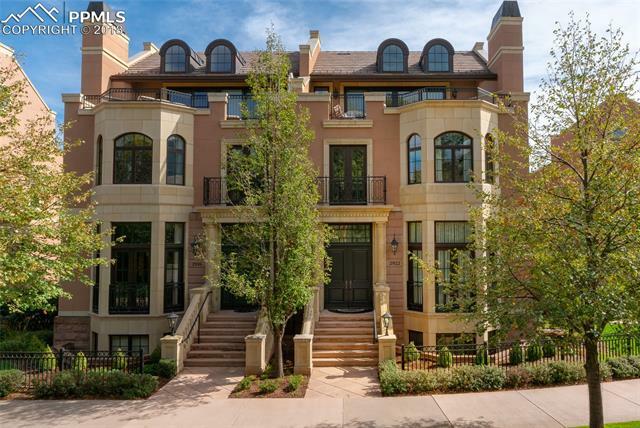 Located within walking distance the infamous 5 Star Broadmoor Hotel, this masterpiece is adjacent to a 20 acre private park. As you walk through this gracious home the attention to detail will astound you. From the floor to ceiling windows that greet you when you arrive to the outdoor patios and decks that afford you the majestic mountain views. 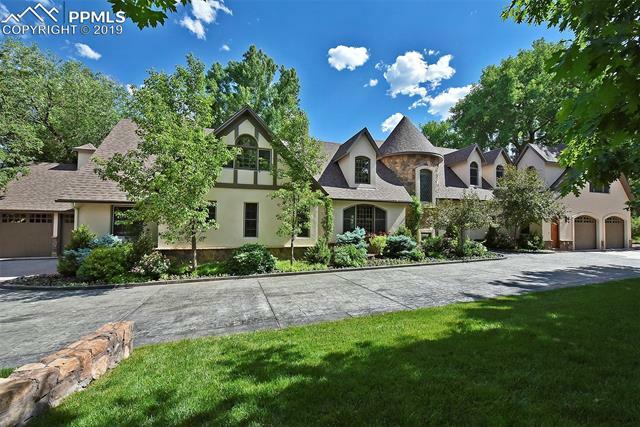 The home features 2 story great room, formal dining, cozy family room with access to the outdoor covered "
"Historical magnificence meets modern comfort in this beautifully restored English Tudor estate in the revered Broadmoor neighborhood. 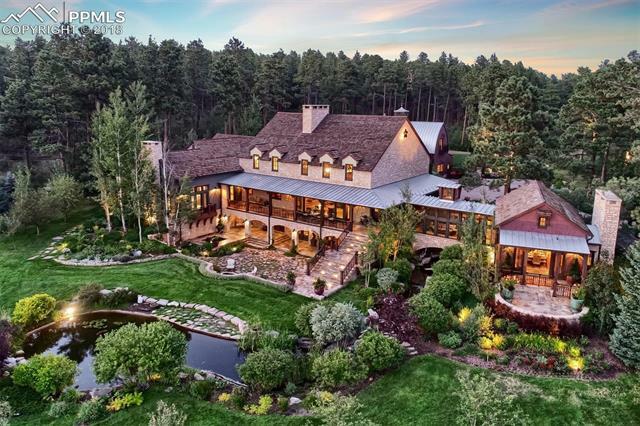 Sitting on 3.13 acres against a backdrop of the breathtaking Rocky Mountains, this luxurious estate blends original details with state-of-the-art amenities. 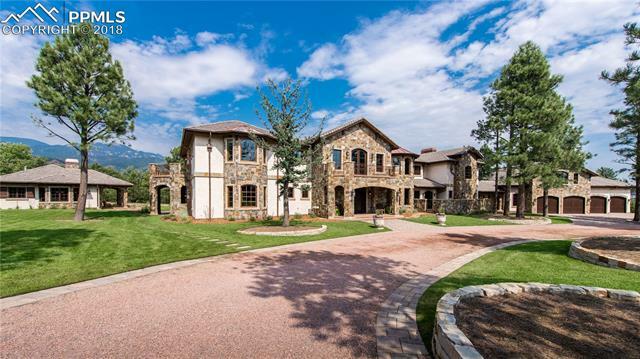 Features include 9 bedrooms, 10 bathrooms, master suite with wood-burning fireplace, his & her baths with oversized soaking tub,gourmet kitchen, walk-in cooler, butler s pantry, Otis elevator, CONTINUED . . "
"Mountains and nature harmonized with this custom home in the Broadmoor Resort Community. 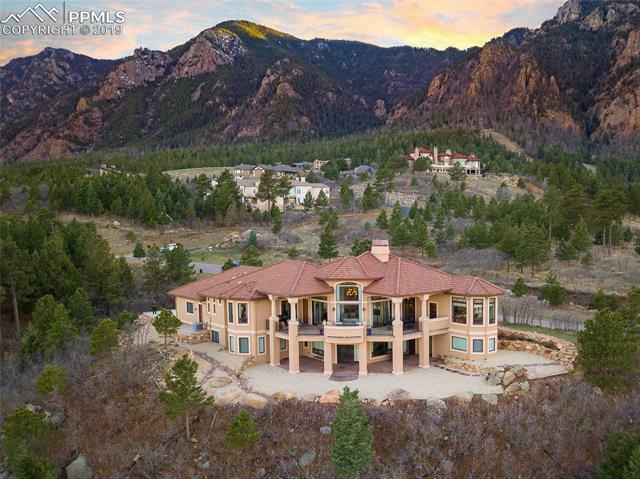 This stunning Mediterranean villa is tucked into the mountainside overlooking the city of Colorado Springs, the foothills of the Rockies and the plains beyond. The home incorporates both casual and formal elements. The spacious but well scaled rooms flow from the grand foyer which opens into the great hall featuring custom lantern style chandeliers mounted to the vaulted ceiling with repeated arched stone ov"
"Located in gated community with 1.77 acres, 120 foot stoned terrace to enjoy city and mountain views with an intimate covered terrace w FP nestled in tall pine trees. Extremely well built custom home with a welcoming warmth in every room. 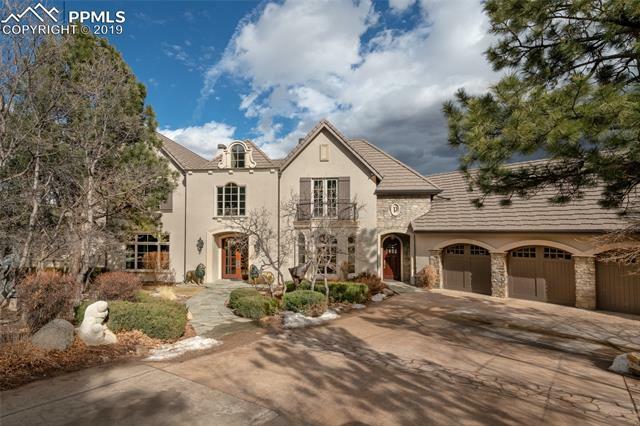 Meticulous attention to detail includes black walnut floors, 4 bedroom suites, paneled library, great room, office with built in partner desk, 4 zoned heating system, Lutron lighting system, wine cellar, gym equipped with spa and sauna, interior sprinkler for f"
"Premier 2+ acre lot in the Broadmoor Resort w/endless views of the Hotel, golf courses, lake, city & mountains. Replacement cost valued at 6 million. Spacious main level living w/elevator to lower. Separate upstairs apartment for guests/staff. Main level verandah (74x16) & lower patio (w/gas grill & fireplace) expand the rear of the home. Walkout lower level w/10 ceilings. Crown molding. Detailed ceilings w/amazing crystal chandeliers. Deluxe Theater. 6 Fireplaces. Dumb waiter. 2 offices on"
"Walk into Architectural Digest when you see this truly amazing home. Stunningly open. 36' X 10' Center atrium features a 20' peaked glass ceiling. Designed for entertaining, the living room has a stackable set of doors that create a 24' opening onto the back patio w/pool, fire pit & hot tub. Family room has the same stackable doors w/a 12' opening onto the patio. 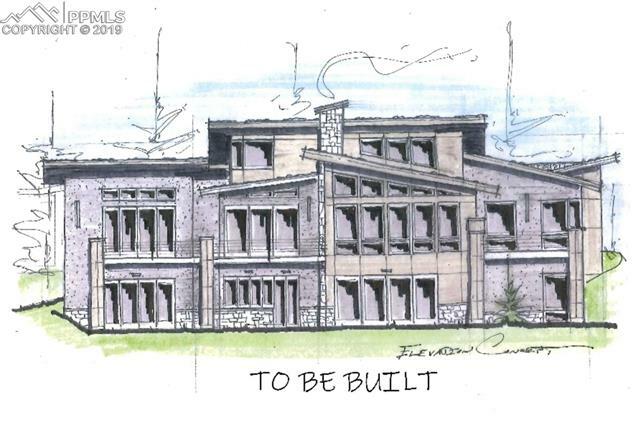 There are two upper levels...the guest wing w/3 Bds & 2 baths & the top master wing w/2,037 square feet. Theater room. Tennis court"
"Bellagio comes to the Broadmoor! 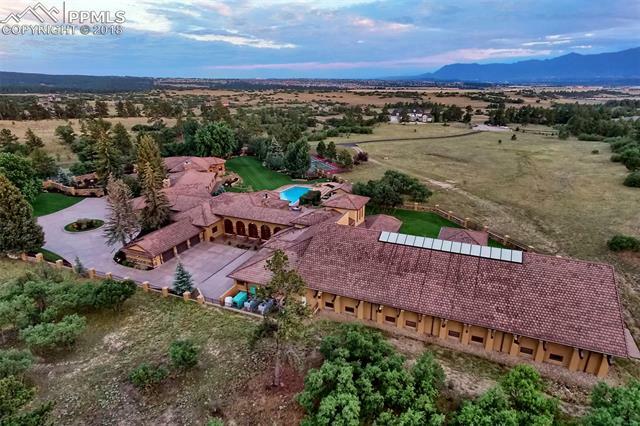 Incredible Northern Italian Villa on a premier ridge lot with Breathtaking Views of the Broadmoor Resort Golf course, Cheyenne Mountain Resort lake, Panoramic Mountain views from the Air Force Academy past the Garden of The Gods Rock formations, Pikes Peak area mountains to Cheyenne Mountain. Complimented by amazing city views that stretch 40 miles. This prestigious gated community, boasts some of the city's premier homes & Residents have the option of joining"
"The only gated subdivision in Broadmoor proper! *Solid perimeter wall with gate * Granite cobblestone street * Natural Stone exterior * Handhewn wood flooring * 10 Pella doors * Greenfield cabinetry * Great Room open to Kitchen * Five Star 6 burner gas range with double ovens * Island 5x15 * Main level Master Suite vaulted ceiling with wood beams * Extraordinary Master closets - 24x8 &16x16"
"A pickleball court, a putting green w/sand trap, an indoor sports court, a tree-lined driveway & a lush 1.92 acre lot w/views & water feature create a country club ambiance for this stunning home that's fun for all. Special features include smart exterior lighting w/various color options, 4-car heated garage, lutron lighting, interior fire sprinklers, sound system inside & out, commercial heating system, Marvin windows & doors, custom cabinetry/woodwork, 100-year-old chestnut floors, wine "
"Enjoy the dramatic mountain & city views from this extensively renovated home*Perfect combination of modern West Coast luxury with mountain living*Home is nestled in the hills & within minutes to The Broadmoor Resort & Hotel*Incredible 4 car garage with an oversized 4th bay with space for RV or boat storage, a workshop or a golf lover's dream - space for a golf cart & golf simulator*Open & bright floor plan with oversized windows & slider doors are perfectly situated to capture natural light & 3"
"Beautifully remodeled w/over a half million in recent improvements! This Majestic Mediterranean sits on a lush .8 acre backing to open space. Recent improvements include new kitchen & bathrooms, a new master suite upstairs, renovated main level suite, new hardwood or marble floors thru-out (except for carpeted theater), new light fixtures w/LED, new HVAC systems, new hot water tanks, New & expanded wine cellar, upgraded sound & security systems, New top of line theater equipment, new composite d"
"Exquisite Stratton Forest Home on 1.97 Acres of Views and Privacy! 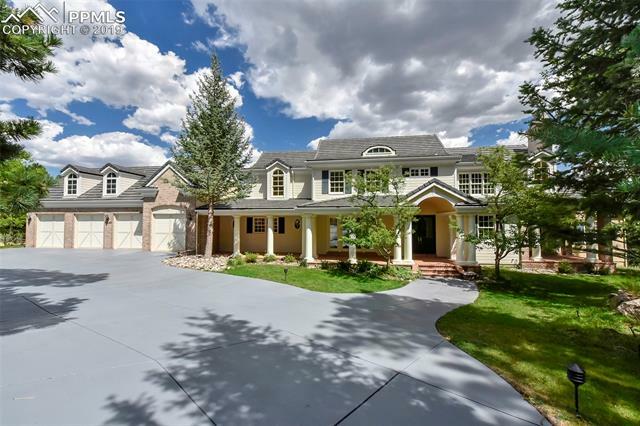 This stunning home offers five bedrooms, an office, six baths and an oversized 4-car garage. The open floor plan of the main level includes beautiful walnut floors, great room with fireplace and walkout and dining room also with walkout. The gourmet kitchen features granite countertops, an abundance of custom cabinetry, walk-in pantry, high-end appliances, adjacent informal dining area and beamed ceiling." "Entering the gated community of High Forest Ranch you will be fascinated with the beauty of this luxury community. Resting at the end of a cul-de-sac and surrounded by 6+ acres of professionally landscaped and mitigated property, you will find this breathtaking home. 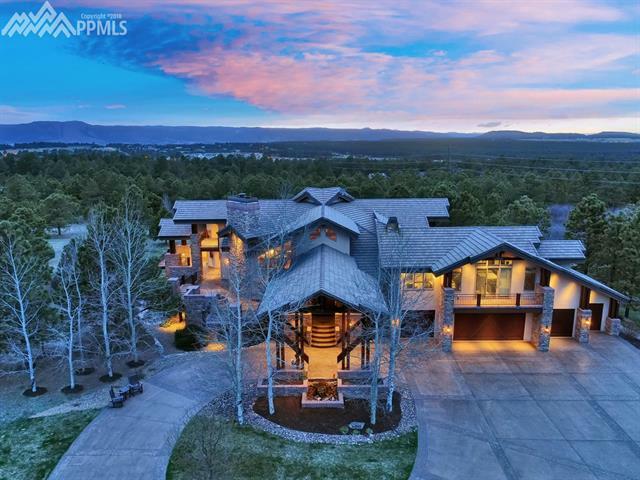 From the Grand entrance to the unique stone accent walls, this spectacular home boasts custom details throughout. 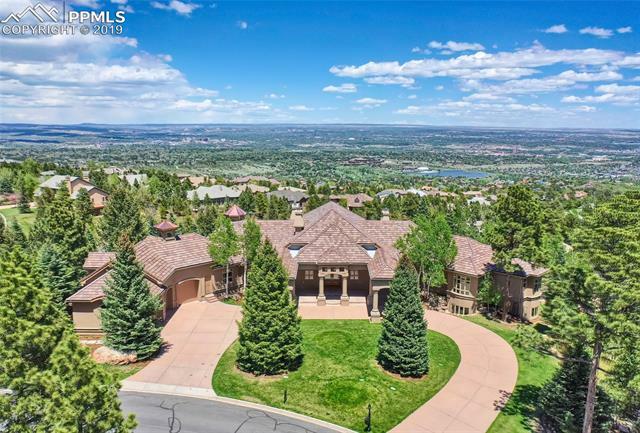 Entering the home you will be greeted by the expansive great room decorated with soaring beams, a stone fireplace and "
"Gorgeous Custom Home in the Broadmoor Resort Community with Amazing Views! 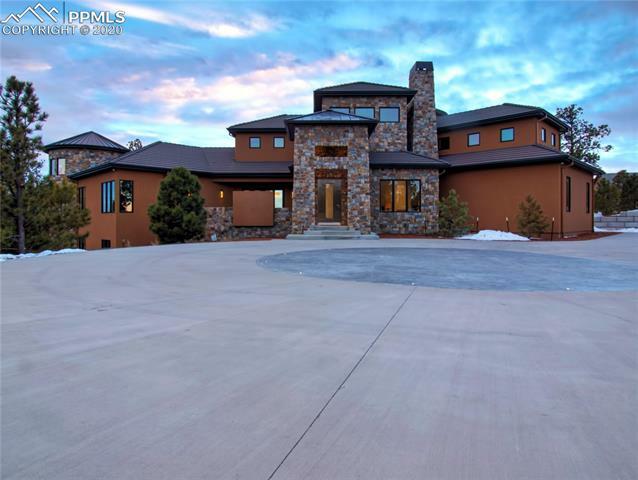 This spectacular home offers 6 bedrooms, main level study, 8 baths and oversized 4-car garage on 1.71 acres of mountain, golf course, and city views. Exquisite craftsmanship and woodwork are evident throughout this 2-story home. 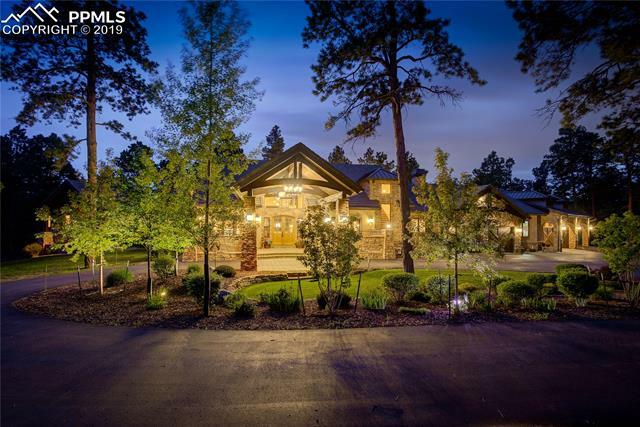 Main level features a great room with soaring ceilings, fireplace and walkout, formal dining room with walkout, and the gourmet kitchen with granite countertops and breakfast area all feature beau"
"The Bar Diamond X Ranch is an 80-acre property with a beautiful 5,900 sq. ft. ranch-style stucco & stone home. Improvements include: a 7-stall horse barn, large indoor heated arena, & an outdoor arena. 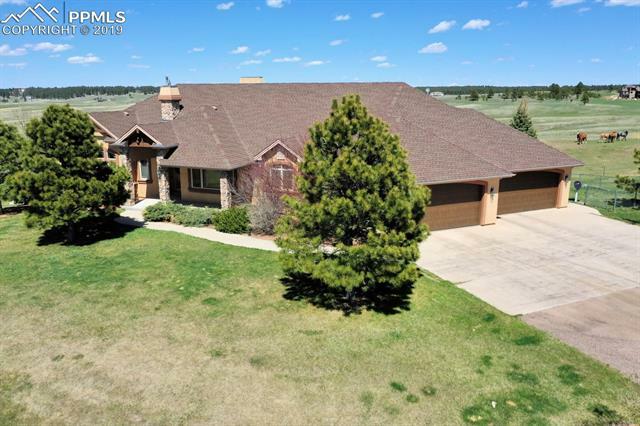 The property is a turnkey horse lover s paradise. The house has many extras including: a 1300 sq. ft. 4-car, heated garage. 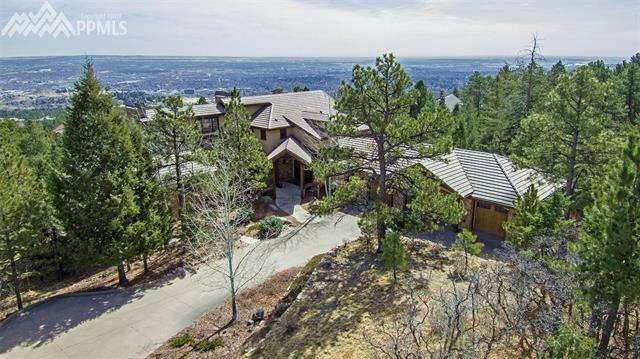 The porches attached to the house have fantastic views of the Front Range. 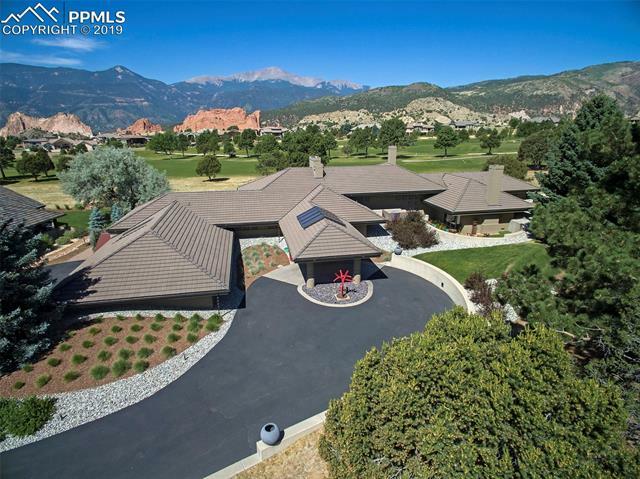 A majestic view of Pikes Peak can be seen from almost every part of the property!" "This TO BE BUILT home will allow you to bring the outside inside like never before. 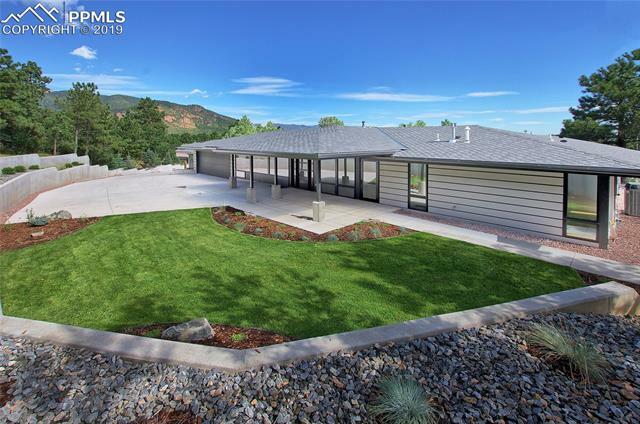 From a gallery of windows after window, you will experience a surreal experience of looking at Pikes Peak's unobstructed view from this 3.13 acre lot that adjoins the Cave of the Winds property. This property is located at the top of Cedar Heights in the remarkable neighborhood The Outback. Remarkable 4 bedroom/5 bath home offers multiple amenities and perfect deck space. See attached spec sheet for details and "
"Exquisite Custom Home in Old Broadmoor! This updated 6 bedroom, 9 bath home features two 2-car garages, beautifully landscaped grounds with exceptional entertaining areas and pool. The main level includes a formal living room and dining room as well as a family room and informal dining area for a more casual experience. The gourmet kitchen offers high-end appliances, hardwood floors, custom cabinetry, granite countertops, plus a counter bar with seating." "Tasteful elegance is what this beautiful custom Brownstone is all about. 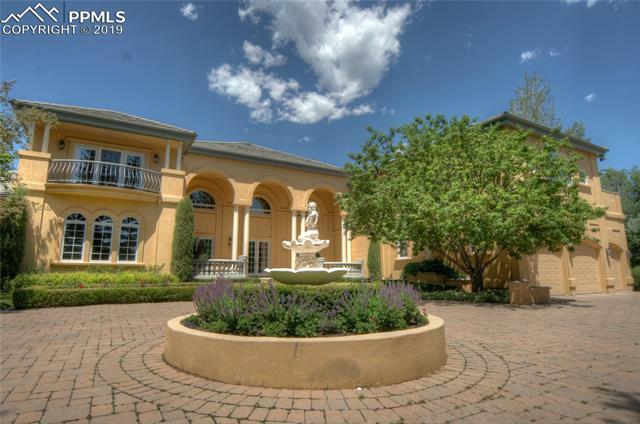 Located directly across from the prestigious Broadmoor Hotel. First rate finishes to include crown moldings, authentic limestone fireplaces, cherry floors, beautiful and unique open staircase, and custom millwork with Alder wood built-in bookcases. Master suite with private laundry. Private elevator and two balconies." 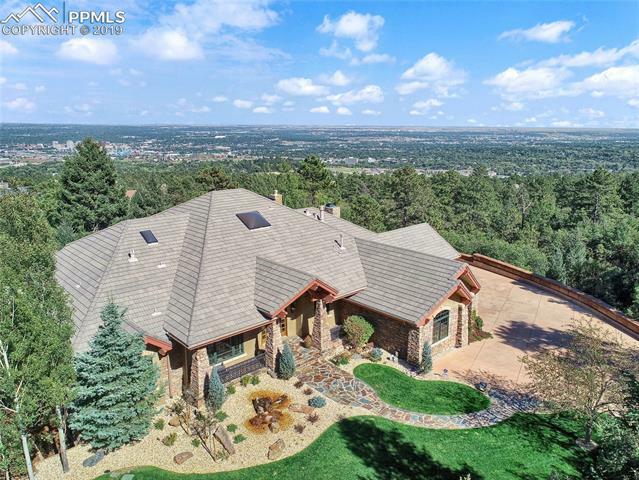 "This custom Colorado home was built to showcase the spectacular views of the front range, The Broadmoor Hotel and Colorado Springs below. Upon entering this home it is clear to see the plan was to bring the outside in. With graceful arches, soaring barrel ceilings and a wall of windows to take in the view. The home is also designed for main level living, with the living room, dining room, kitchen, master bedroom and laundry, all on one floor." "Luxury Golf Course Residence! The sleek lines and neutral decor of this beautiful contemporary custom home provide flexibility and a myriad of options to fit your lifestyle. Some of the best uninterrupted views in Kissing Camels. The foyer, great room and dining room compliment each other with their marble accents, recessed lighting and coffered ceilings. The great room also includes a walkout to a covered patio with unbelievable views."